It's a little colder here this morning in Southern Ontario, but at least the sun is out. The Seasons here are changing, as we're moving out of Winter and into Spring things begin to transform. The buds on the trees begin to emerge, we start thinking of life outside again (yes I realize not all hibernate) but Spring begins and with it boating and golfing, people come out to hike and enjoy the outdoors. We start thinking about BBQ-ing (although some of us never stop), life begins to bloom. Malu and I have felt that we're coming out of a winter Season in our lives. 2015 was a difficult year for us with the unexpected passing of my mother. One of the major reasons we came here was because of her and the Lord saw fit to take her home. We are now ever so thankful for the short time we had with her. Things change, the only constant is change. Through this our love for Jesus and God has grown deeper, our love and understanding of one another has also grown. Our desire to see the gospel preached has become stronger and to see Latinos come to Christ has continued to be a passion we hold. So...we're going to do what we can where we're at. We've been praying and we feel our next step is a short term trip this summer to help full time missionaries on the field. We'd like to be in Mexico City for a trip that runs from the 13th of July until the 19th. There is a musical group from California coming down and we'll help the full time missionaries there host the group. That's what we're hoping to do. Can you pray? Yes you can... there are a lot of requests... to begin. responsibilities and also our personal finances as we take the time off. Can you give? Of course you can help us with the financial burden. 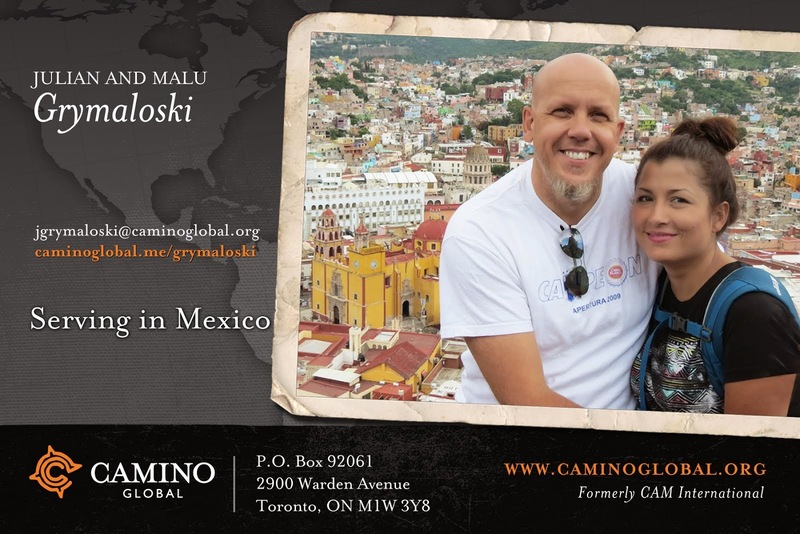 We are still connected with our mission Camino Global and you can support us through them. There should also still be an active link on the side of this blog.